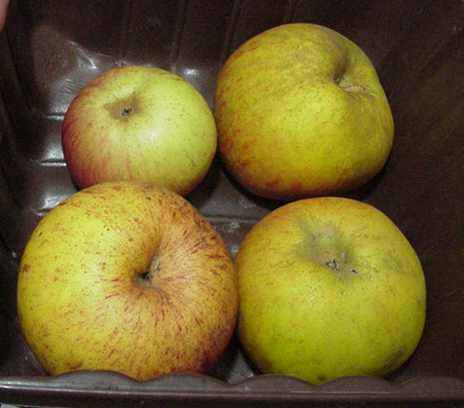 A firm yellow apple with a flavour of honey has been found in South Leicestershire. It ripens in November. It will be grafted next year. Vitamin C concentration 3.0mg per 100g fruit (fruit from the original tree). The Orangepippin website is now selling "Tickled Pink" (Baya Marisa) and "Rosette". "Orangepippin" tells me that Keeper's Nursery is selling another redfleshed apple "Red Sauce" - it's American, but no information so far about its origin. 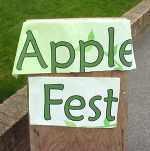 Sat 29 Oct 2011; Queen's Rd, Leicester; attended by Nigel and Alison Deacon of Leicestershire Heritage Apples, 10am - 4 pm. Queen's Rd, Leicester. 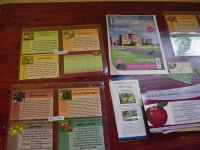 Apple identifications and talks by Clifford Cain of 'Fruitscape' , apple recipes, apple juicing, information on food miles, sustainability, etc. I have been doing some vitamin C determinations of apples over the past few years. The Leicestershire varieties I've tested are shown below. The vitamin C content depends on freshness and other factors; see here for details. There is no detectable vitamin C in a cooked apple. Note for chemists- the figures I'm getting using DCPIP analyses are generally lower than official figures using starch / iodine. I will be comparing the sets of data at some stage. 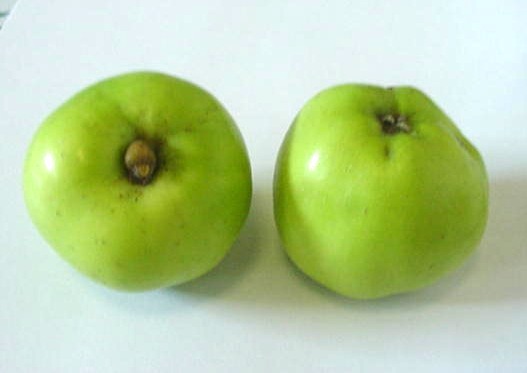 The asterisked apples are Leicestershire Unique Seedlings. Units: mg vitamin C per 100g fruit. 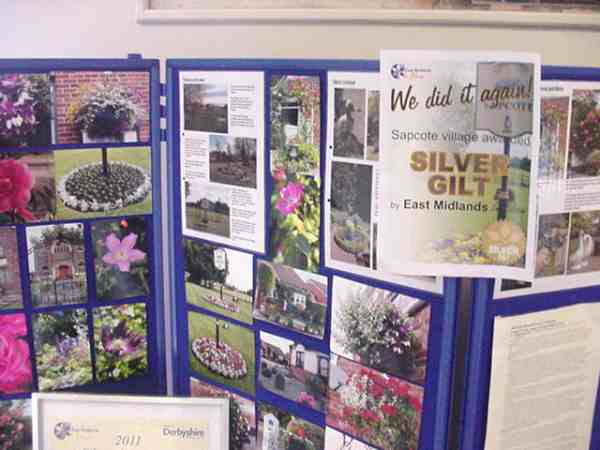 Sat 8 Oct 2011, 11am-4pm; LHAP (Nigel Deacon & Melanie Wilson) were there, Donisthorpe Community Orchard. 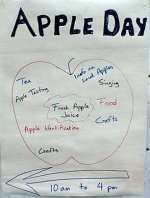 Grafting worshops; apple-related story telling by Gareth King. Lots of visitors; interesting apple display by Sally Cunningham, who identified apples brought in by the public. 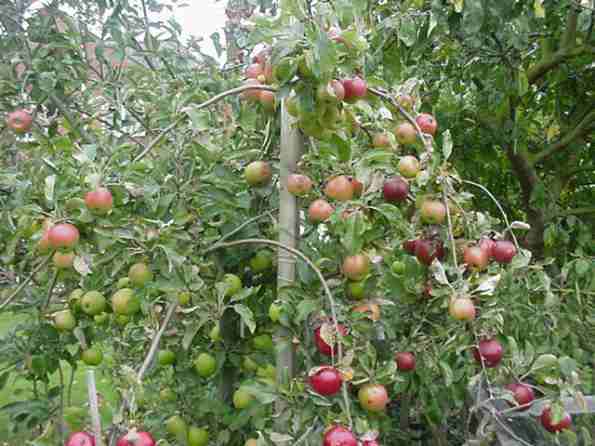 'Family Apple Tree' colouring up nicely, 3 Oct 2011: High Cross apple, Pink Pearmain (bright red), Burford Red (deep reddish-purple), Suntan, Hidden Rose, Mott's Pink, MM106 (green), Mere Pippin, Pink Pearl, Croft Late, Zuma (crab). The High Cross and Croft Late are Leicestershire Unique Seedlings. A picture of this tree has been used in a new Biology textbook in Canada. 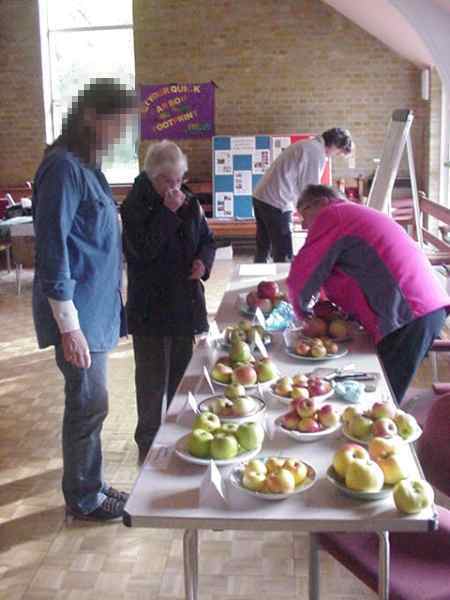 A number of people brought along apples for identification; we are not experts but recognised Fiesta and Falstaff from minarette trees, Dumelow's Seedling (the precursor of Bramley), Howgate Wonder, and an unusually red Bramley. One surprise - a person brought along what he called the 'sailor's apple' (above; click on the small picture for the detail) - which we identified as Burr Knot - a variety with the special property of rooting from branches; popular in cottage gardens in the mid 1800s, which had been in gardens owned by his family for several generations. 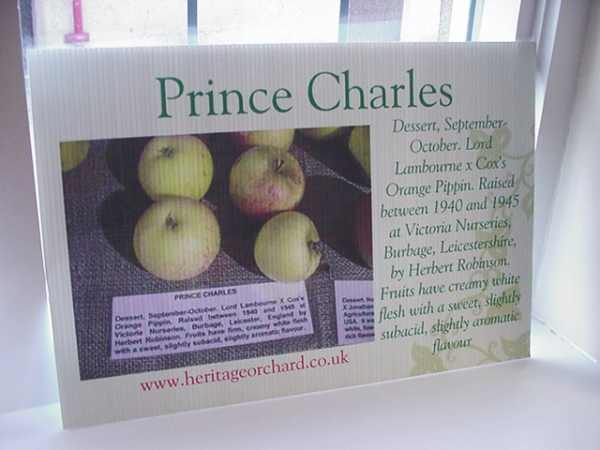 First fruit on 'Pendragon' has been noted in the LHAP collection: see photo below. 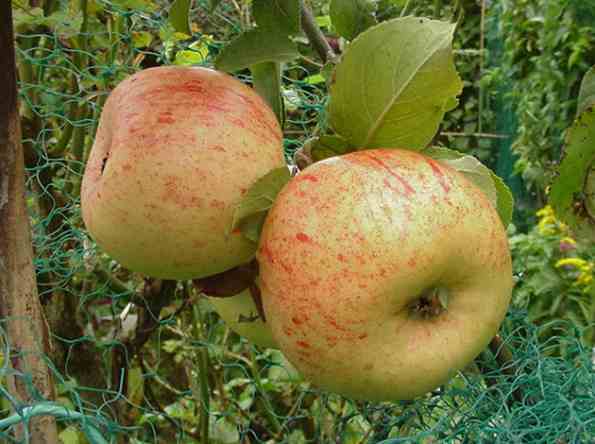 This is a Cornish apple from antiquity. First photo: Pendragon ; second picture: Weirouge (German variety) at top, Pendragon underneath. Click on the thumbnail pictures for the detail. The second picture is being used in an 'easy-reader' textbook in Canada. 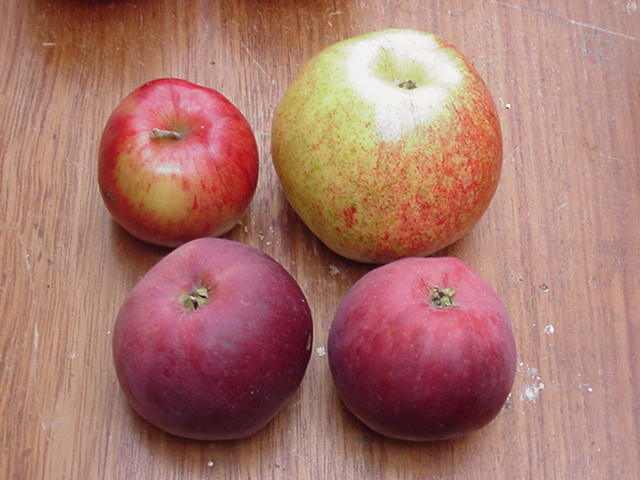 A photograph of three very rare apples from the Leicestershire Heritage Apples collection (clockwise from top left): Pink Pearmain, Langton Nonesuch, redfleshed Sops in Wine, 9 Sep 2011. The Langtons apple is the size of a cricket ball. Melanie Wilson. 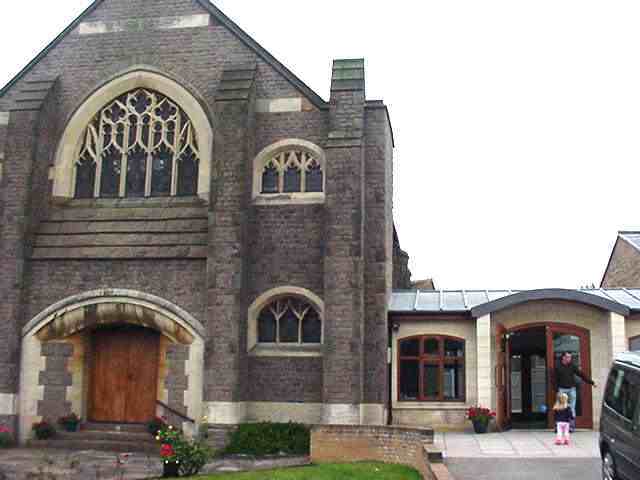 Thursday 8 Sept 2011, 11am; Evangelical Church on Bath St, Market Harborough. Postcode LE16 9JL. Nigel and Alison Deacon. 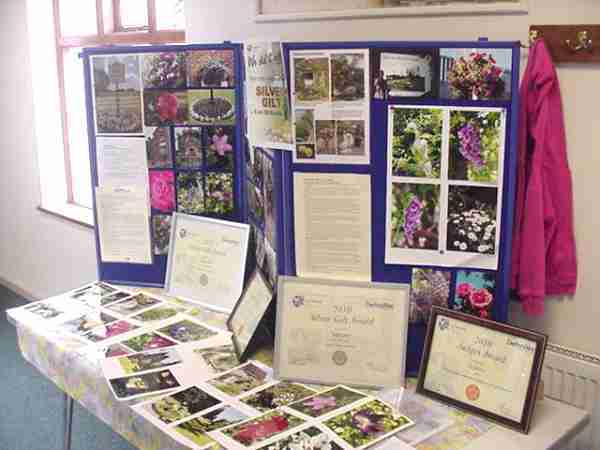 Tuesday 6 Sept 2011; Burbage Gardening Club. Constitutional Club, opposite the church. 7.30 pm. Talked about origins of varieties, propagating in different ways, seedlings, grafting, rootstocks, the amazing diversity of apple varieties, Leicestershire apples, some of our discoveries, and Leicestershire Heritage Apple Project's plans for the future. 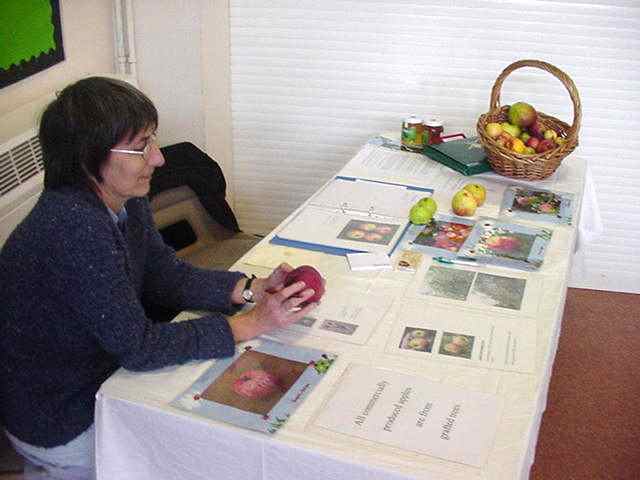 Enthusiastic audience of about 50 people; two brought apples to identify (not really my skill but recognised Emneth Early and Laxton's Fortune). Melanie Wilson. 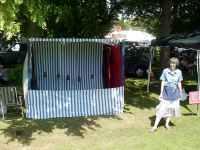 Thursday 1 Sept 2011; Hose Village Hall. 7.30 pm. 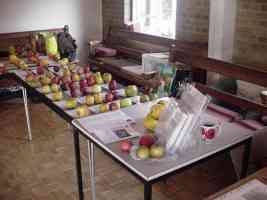 Lots of interest shown by the gardening club in local apple varieties and in learning how to graft. 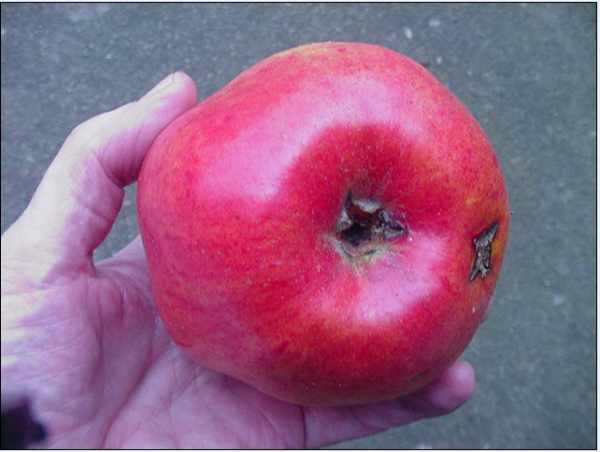 I have been sent a photograph of a redfleshed apple, an unknown variety, by Nick G, from an undisclosed location in Cheshire, looking rather like my own 'Aldenham Purple' which was sourced from a private grower. It's surprising how many unknown redfleshed apples are 'out there'. One other piece of news - we have a few 'first fruit' from two of our Langton Nonesuch trees. Picture below. 26 June 2011, all day. 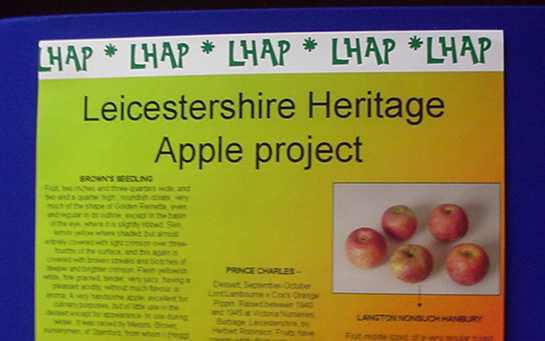 Leicestershire Heritage Apples Project was there. 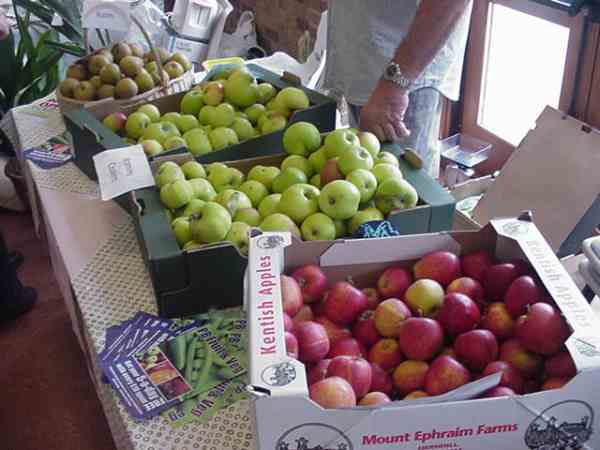 Interest in local apples was shown by a steady stream of visitors. LHAP helping out on the coconut shy. 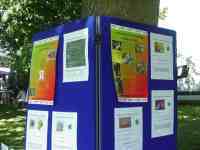 On a visit to this year's Foxton Seedy Sunday one not only discovered more environmentally friendly information on home composting and using a wormery but also attended a fascinating tree grafting demonstration by two members of the Leicestershire Heritage Apple Project (LHAP). Nigel Deacon (pictured above) and Melanie Wilson explained, to the small but very interested group, about the different types of rootstock available: MM106, M26, M27, before showing us the whip and tongue graft. 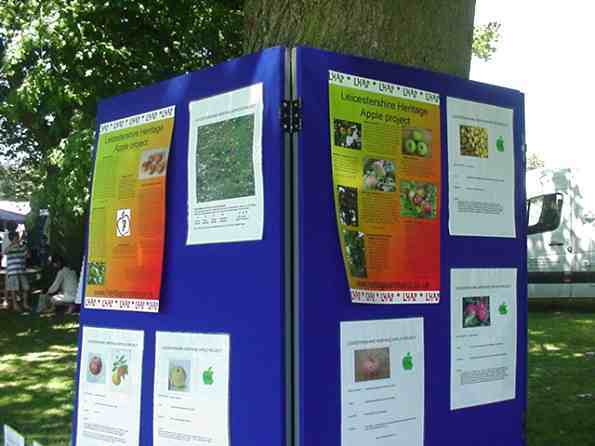 The displays outlined details of many Leicestershire apple varieties, some of which are making a slow recovery from almost extinction. One was the Langton Nonsuch or Hanbury which was thought lost but was found in Germany and is now being cultivated back here in Leicestershire. 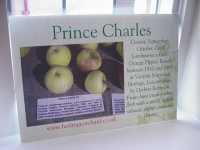 (The article continued by giving a detailed desciption of the Langton Nonsuch, from our web page about the apple, and a list of other Leicestershire varieties). 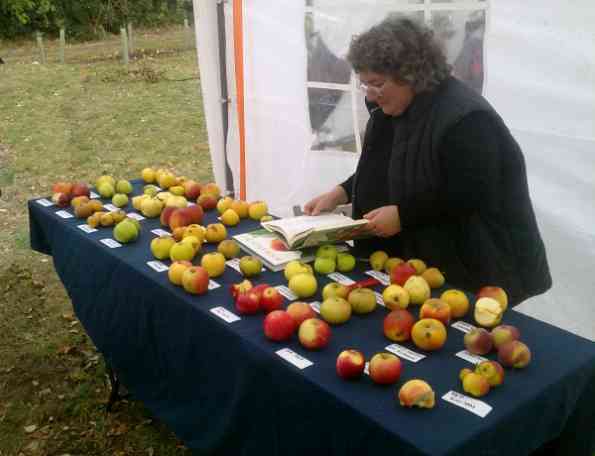 There are 100 varieties in the Leicestershire Heritage Apple Collection, most of which are not in the National Fruit Collection. From 2011 our Annie Elizabeth trees will be propagated from the original tree. Yes, the original seedling raised by Samuel Greatorex. 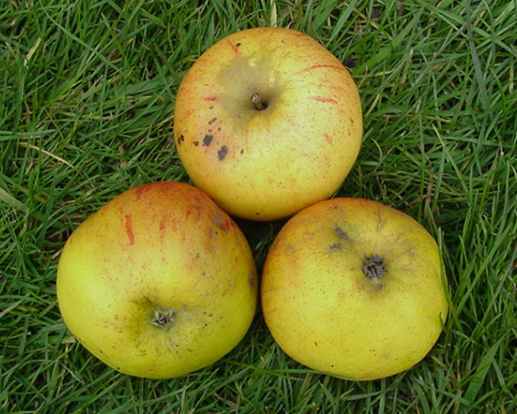 It is still alive, 150 years later, and fruiting well; three apples from it are shown below. Some trees sold as 'Annie Elizabeth' seem to us to be (perhaps) misattributed. For details, see the Annie Elizabeth page. 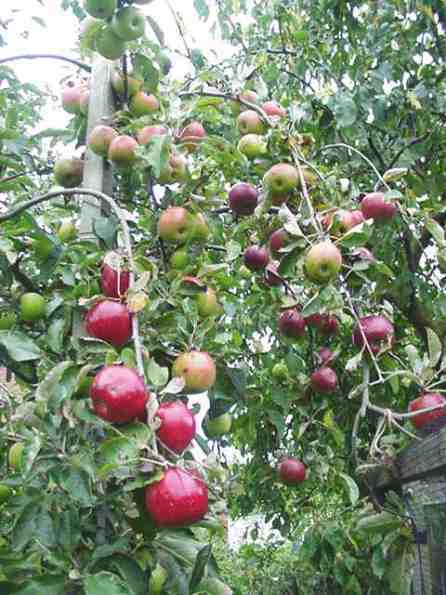 Do you have an old unproductive orchard which you would allow to be grafted over to Leicestershire cultivars? 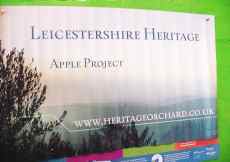 Leicestershire Heritage Apple Project is looking to change an orchard or orchards over to Leicestershire cultivars in return for some fruit to help promote our unique local apples. 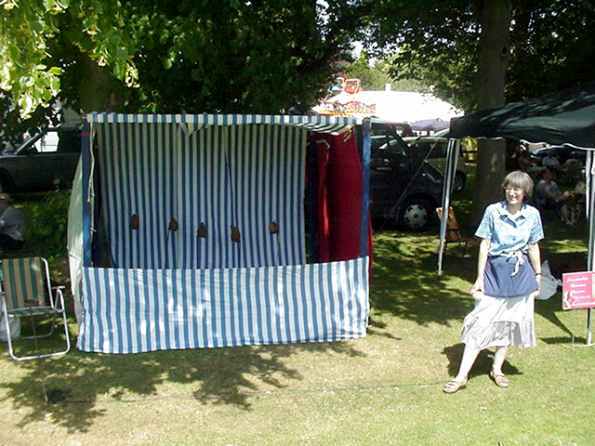 This is the well-known heritage and community project for Foxton and the surrounding villages near Market Harborough, Leicestershire, held on 6 Mar 2011, 2-4pm. LHAP were there. 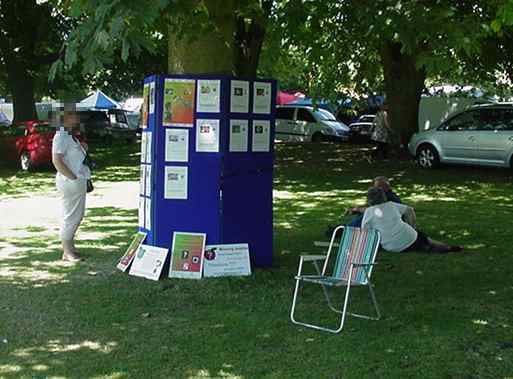 No Leicestershire trees to sell, unfortunately - this year's are all gone. The new batch will be available next winter; you will be able to order during the summer. 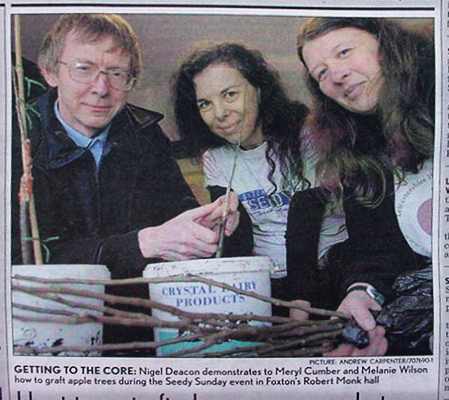 The picture below shows one of the grafting workshops; Mel and Nigel explaining why grafting is necessary to produce an apple tree, and demonstrating the whip and tongue graft. Click on the thumbnail for a clearer view. 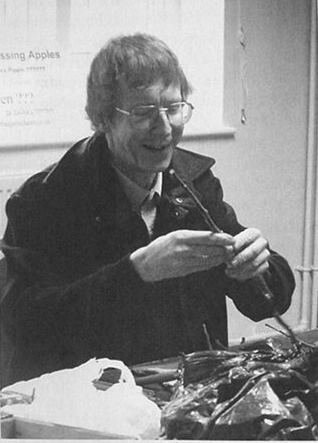 'Seedy Sunday' was well attended; some visitors had come a very long way, and a lot of interest was shown in the grafting sessions. About a dozen people attended each of the workshops. 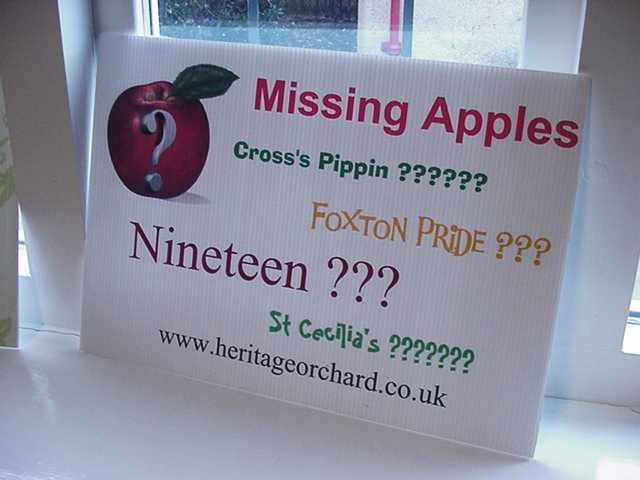 There are still some Leicestershire apples we are trying to locate .... see our posters below; this includes the Foxton apple, where the identification is proving difficult. 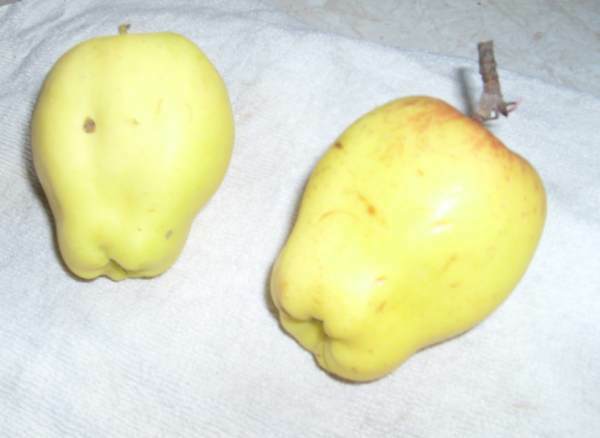 If anyone is aware of a written record of this apple, anywhere, please contact us. 'Seedy Sunday' was attended by a Leicester Mercury photographer, so expect a report on the event sometime in mid March. 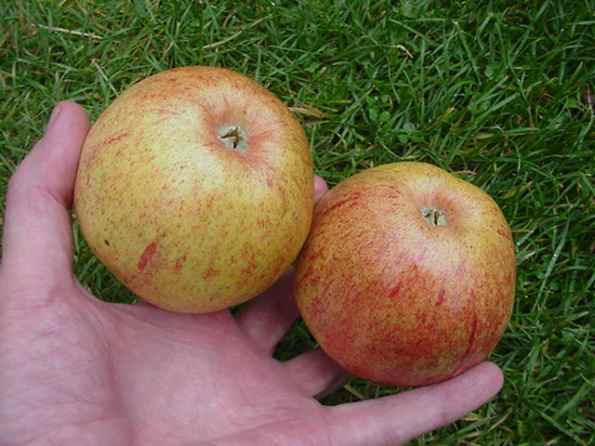 Matthew Biggs on GQT (6 Feb 20100) mentioned that he'd just obtained "Sweetings", one of the Leicestershire Heritage apples we found last year. So far as I know it's only available from LHAP (us!) . 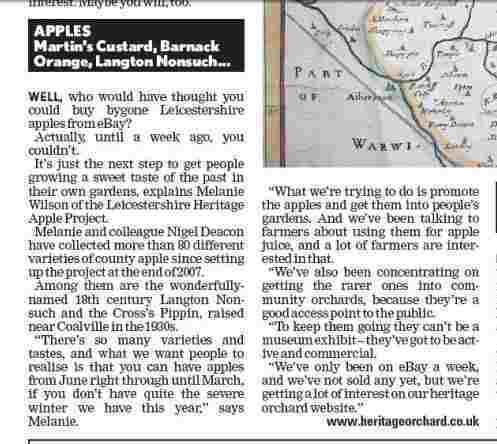 Good to know that knowledge of Leicestershire apples is spreading. Sweetings is exceptional - it ripens a fortnight before 'Discovery'. It has occurred to me that there may be people out there interested in crossing apple varieties. If this includes you, take a look at how to breed new varieties . I am crossing good flavoured redfleshed apples with strong flavoured English types. 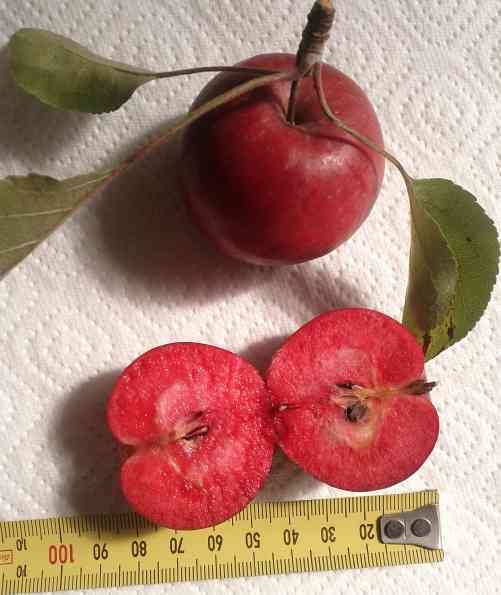 Here's a picture of some hand pollinated apples. The procedure causes them to look slightly unusual - the calyx is missing. Recent article appearing in the Leicester Chronicle. 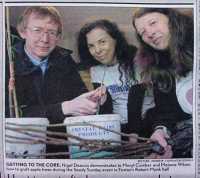 Original article and more on the Leicester Chronicle website. LHAP are now collecting scions for grafting in Feb-Mar. 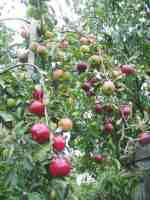 As for those who are growing seedlings - now (Jan ) is the time for sowing apple seeds. They need to go into the fridge for a week or two first. If you do this, you may get something interesting, but please remember that seedlings do NOT breed true. 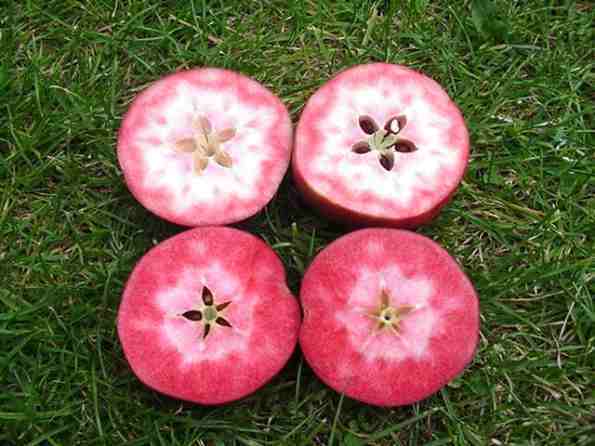 Anyone else like some red fleshed open-pollinated apple seeds? Drop me a line. 11 Jan 2011. 11am. 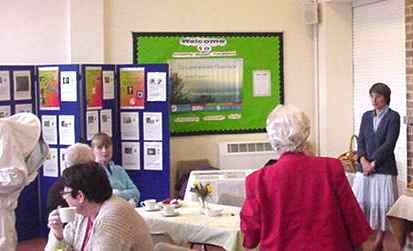 Salvation Army, Ladysmith Rd, South Wigston, Leics. About sixty people were present; Mel talked about the meaning of 'heritage apples', why they're important, and how we search for lost varieties. Then we heard about the purposes of the project, which include getting farmers involved and making people enthusiastic about local produce. In the long term, this is what 'sustainable' really means - local. Please contact us if you would like to assist.